Each bead sewn in place on a length of lsuede cord. Finished with a vintage mother of pearl button. 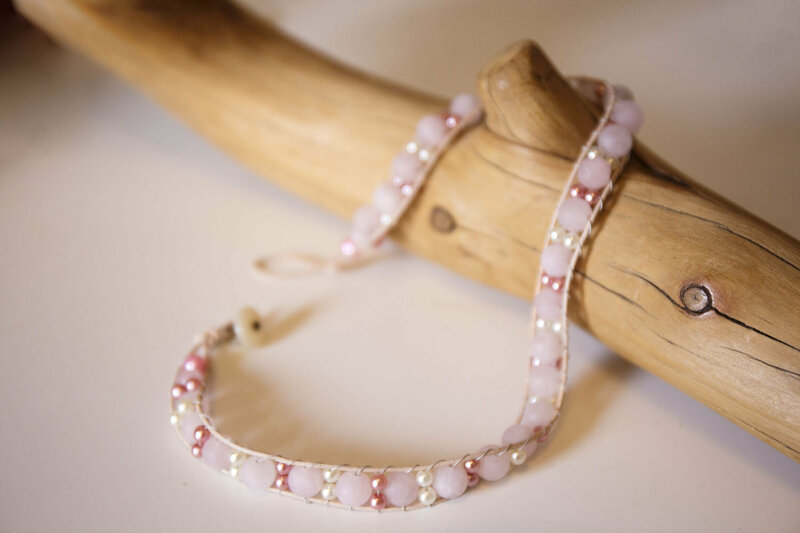 Frosted rose quartz with pearlised bead accents. 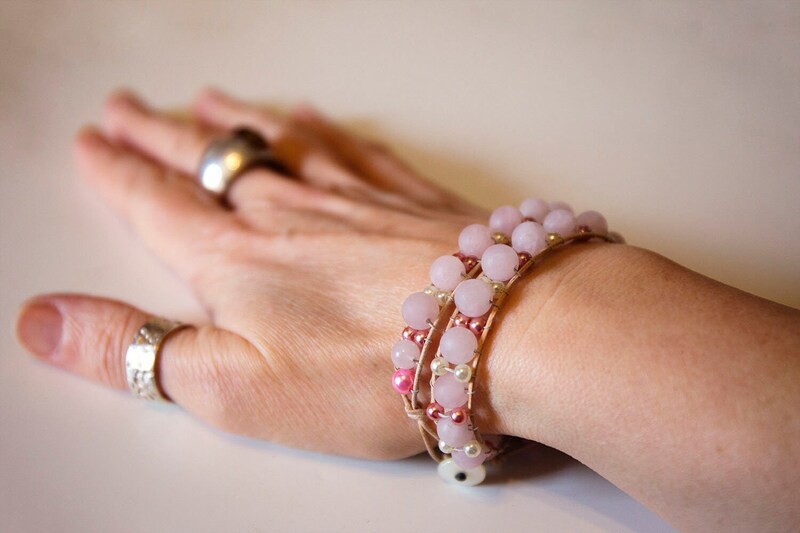 Rose Quartz is a stone of the heart, and represents Unconditional Love. 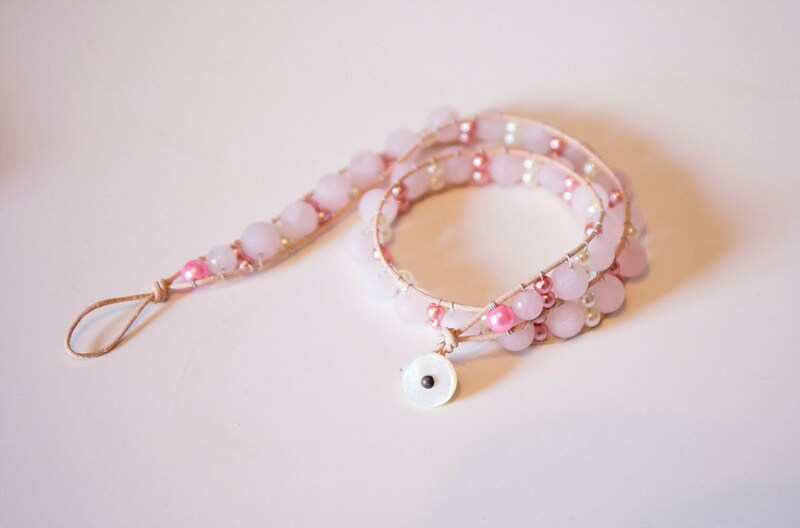 It denotes the energy of compassion and peace, tenderness and healing, nourishment and comfort. It corresponds with the Heart Chakra, healing emotional wounds, fears and resentments, allowing the giving and receiving of love to be restored. If you have any questions, please don't hesitate to ask. I'm happy to help.